and sometimes the wood they came from. "Some pretty wood, some pretty kindling." 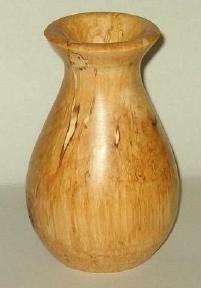 This is a gallery of some of my turnings. Please click on the thumbnail to see a larger picture and use the back button on your browser to return to this screen. I had a small piece of maple crotch wood and used it to turn this 6" plate. The crotch gives it that distinctive "feather" grain. As I was cleaning the shop one day I found a half log of ash and turned it with a natural edge. 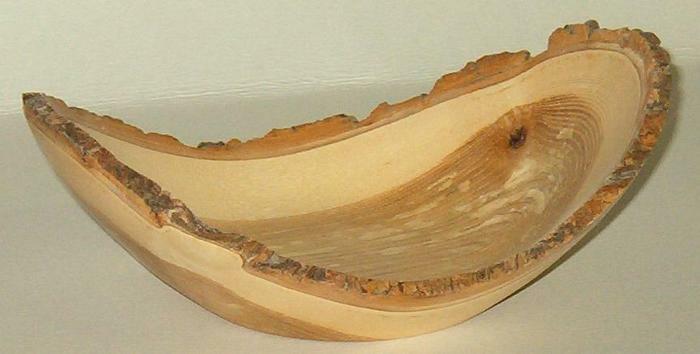 Some people call these "banana bowls" because of the distinctive shape. It is about 9" long and 5" wide by 3" high. This is another of those cleaning pieces. 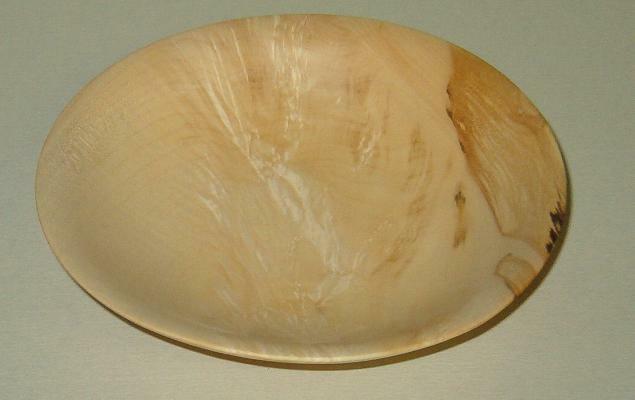 Normally I would turn a bowl with face grain orientation but here the wood was dry enough that I felt I could turn it with the center of the tree left in and not get splitting. Thankfully, I was right. About 4" diameter by 3" high. 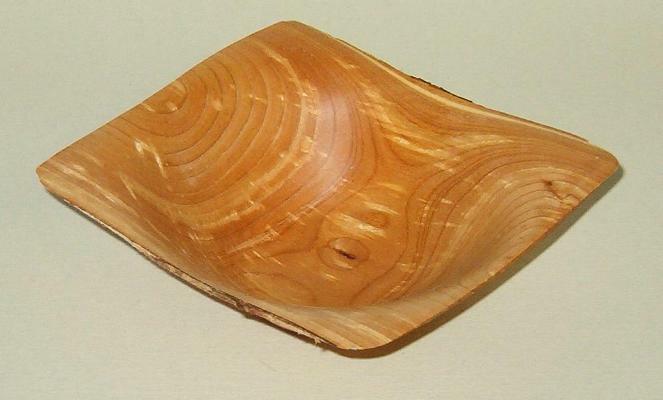 A square bowl in pin cherry, about 5" diagonal by 2 1/2" high. 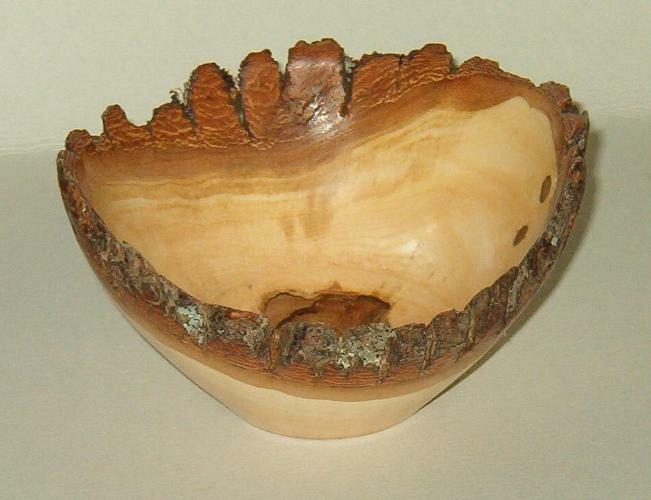 Top and side views of another square bowl in pin cherry, this one from a tree that was dead on the stump and had beautiful color throughout. The color may have been from insect or fungal activity or the minerals from the swamp just behind it, or maybe all three. "doing you a good turn today"